Atletico Madrid director Andrea Berta has reportedly flown into London to open negotiations over a double deal to sign £38million-rated pair Diego Costa and Pedro, according to The Sun. The La Liga table toppers are currently looking to bolster their attack ahead of their transfer ban that will kick into effect at the end of the current window. And though they are aware that it will take a big sum of money to prize the pair from Stamford Bridge, they are also willing to throw striker Jackson Martinez into the deal as a sweetener. 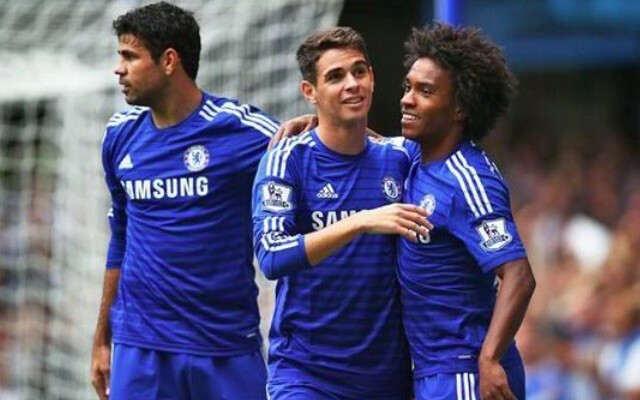 However, Chelsea are unlikely to be willing to allow Costa to move on in January, as that would leave just Martinez and Loic Remy as their only recognised strike force with Radamel Falcao still nursing an injury. Their charge for a top four finish is already under threat, and swapping a proven Premier League goalscorer for one that isn’t would virtually throw it under the bus. Martinez has struggled for form since making his £26.7m move from Porto over the summer, bagging just three goals in 21 appearances so far.